Class 4. 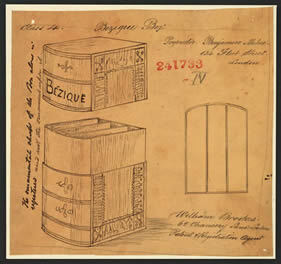 Bezique Box. Proprietor Benjamin Milne, 134 Fleet Street, London IV [in pencil] The ornamental shape of the box alone is registered and not the ornament upon it. William Brookes 62 Chancery Lane, London. Patent & Registration agent. Bezique is a two-player card game. The basic version is played with a double pack of 64 cards (two copies of A-K-Q-J-10-9-8-7 in each suit). 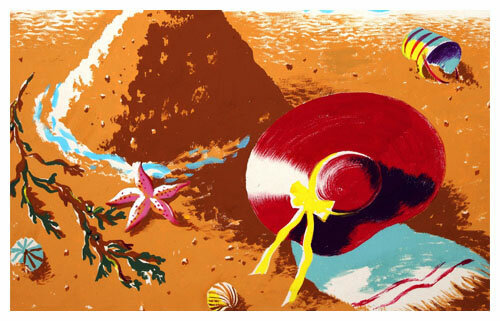 It originated in France and became popular in the mid 19th century throughout Europe. It is reported to have been a favourite pastime of Winston Churchill.